INDUSTRIAL STEEL & FASTENER CORP.
Industrial Steel & Fastener was established in 1974 as a local steel distribution company. The main office is located in Bala Cynwyd, Pennsylvania. 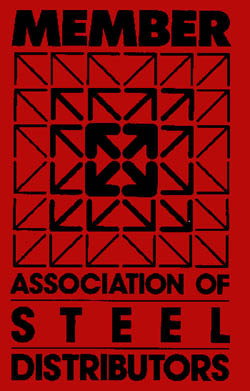 Today, we are a mass distributor of steel products, investingand selling steel in the domestic and foreign markets. We handle both prime and secondary. Our corporation stocks low carbon, high carbon, high strength, and various drawing quality grades in ferrous metals. The product line includes: cold rolled, hot rolled, hot rolled pickled and oiled, coated products in coil, sheet, plate, wire, rod, and strapping.